After opening the season at home with a draw and a win, the Pandas soccer team had a rough road trip through B.C., losing to the UBC Thunderbirds on Friday, and the Victoria Vikes on Saturday. The Pandas were shutout by the Thunderbirds during the first game of the weekend, and were thoroughly outplayed as well as they were outshot 17-4 by the home side. Although they weren’t able to crack the score sheet in the first half, they struck early in the second, as halftime substitute Nicole Sydor found the back of the net in the 49th minute. Rookie forward Amelia Crawford put the game away in the 74th minute, deflecting a cross past Pandas keeper Lauren Morrison. The Pandas managed only one shot on goal the entire game. 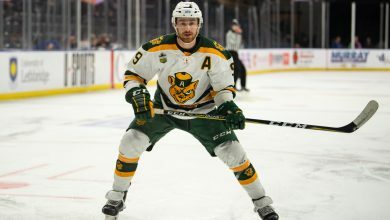 Things didn’t get better on Saturday, as the Vikes bested Alberta 3-1. The Pandas’ attack was more spirited in the second game, but Vikes goalkeeper Meaghan Storie stood strong between the posts, stopping all 12 shots directed her way. The Pandas rugby team got off to a tough start this season, dropping their opening game to inter-province rivals the Calgary Dinos 34-19 on Sunday. It was a tightly contested game, in the first half, with Calgary holding a slim 7-5 lead heading into the half time interval. However, the Pandas ran out of steam in the second half, getting outscored 27-14, and allowing five tries by the Dinos. Despite tries of their own from Julia Goss, Sarah Haring, and Aline Wicklum, the Pandas could not hang with the Dinos, who avenged their loss to the Pandas at last year’s Canada West finals. Alberta will take the Lethbridge Pronghorns on Oct. 4, while the Dinos will hit the road for a two game weekend, taking on the UBC Thunderbirds on Friday, Sept. 25, and the Victoria Vikes on Sunday, Sept. 27. Coming off their bye week for the season, the Bears are making their home debut this weekend at Foote Field. Last weekend, the Bears got off to a hot start on the road, blowing out the Lethbridge Pronghorns 6-1 last Friday. 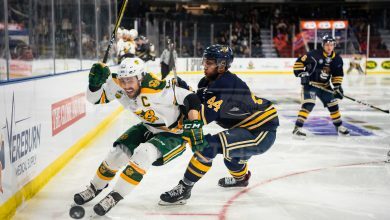 Fifth year Mohamed Teliani led the offensive charge for Bears, recording a hat trick, while Shamit Shome added two goals, and Tolu Esan added one of his own. The Bears thoroughly dominated the Pronghorns for the entirety of the match, as Riley Flint scored their lone goal, breaking the Bears clean sheet in the 74th minute. 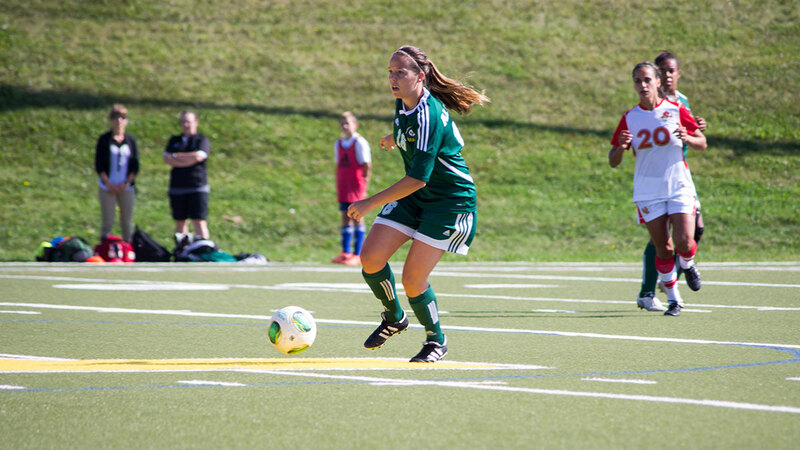 The Saskatchewan Huskies gave the Bears a bigger challenge in the second game of the weekend, playing them tight for the majority of the match. Teliani and Esan scored again for the Bears, while Lukas Prenner added his first goal of the season in the 78th minute to put the game out of reach. The Bears will face another undefeated team this weekend in the Mount Royal Cougars on Saturday, Sept. 26, and the Calgary Dinos on Sunday, Sept.27.